By Card Making and Paper Crafts Contributor Heidi. 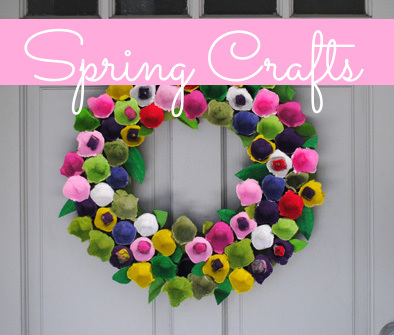 Follow Heidi on her blog Blue Scallop Creations and on Instagram @bluescallopcreations. Doesn’t this cake look good enough to eat?! 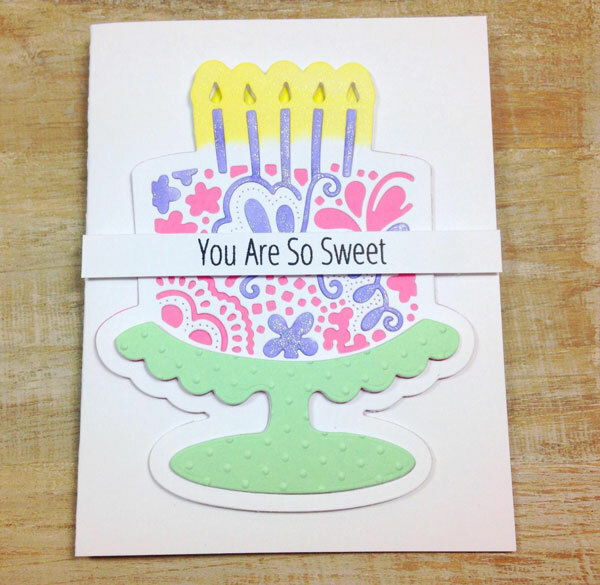 My project today uses a festive birthday cake die cut from DoCrafts and Wink of Stella shimmer. This entry was posted in Cardmaking and tagged Birthday, Birthday Card, Die Cutting, Wink of Stella, XCut on March 27, 2019 by Heidi. In past posts, I’ve shown how I use scrapbooking products to create cards. For today’s project, this is made even easier with Pink Paislee’s Confetti Wishes Card Kit. 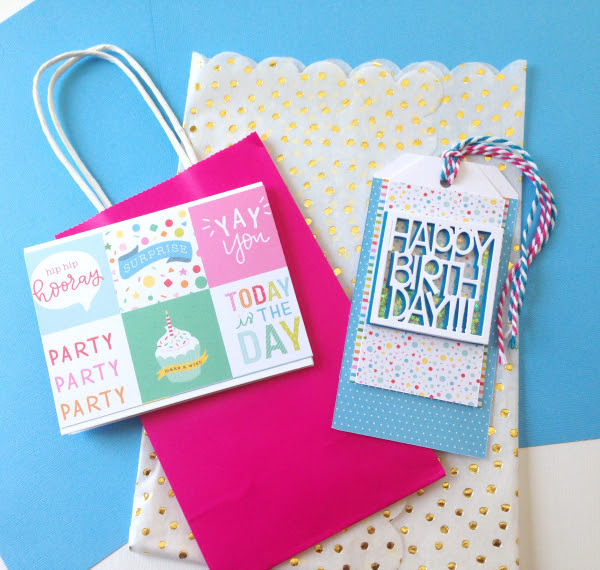 Everything in the kit is paired down to make cardmaking super easy and quick. This entry was posted in Cardmaking, Crafts and tagged Birthday, Birthday Cards, Card Making, Pink Paislee on March 21, 2019 by Heidi. 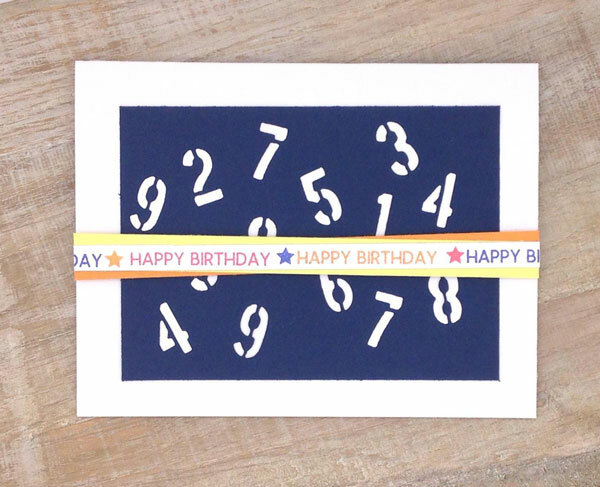 Birthday cards—you can never have too many on hand especially for those last minute kid parties. My project today is super clean and simple and easy to put together. This entry was posted in Birthdays, Cardmaking, Paper Crafts, Parties and tagged Birthday, Birthday Card, Birthday Cards, Die Cutting, Sizzix, Sizzix Dies, Tim Holtz Dies on March 7, 2019 by Heidi. By Card Making and Paper Crafts Contributor Heidi. Follow Heidi on Instagram @bluescallopcreations. 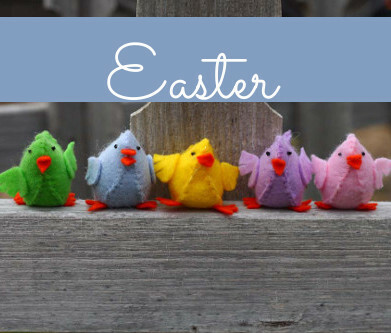 As a card maker, I am drawn to bright, cheerful colors. Mostly white card bases with pops of pinks, mint and soft yellows. There are times though, when I need to make a masculine-style card. This is where the richer colors come in with some darker accents. For today’s project, I’m using a background die from Avery Elle called Waves for a quick and easy masculine birthday card. 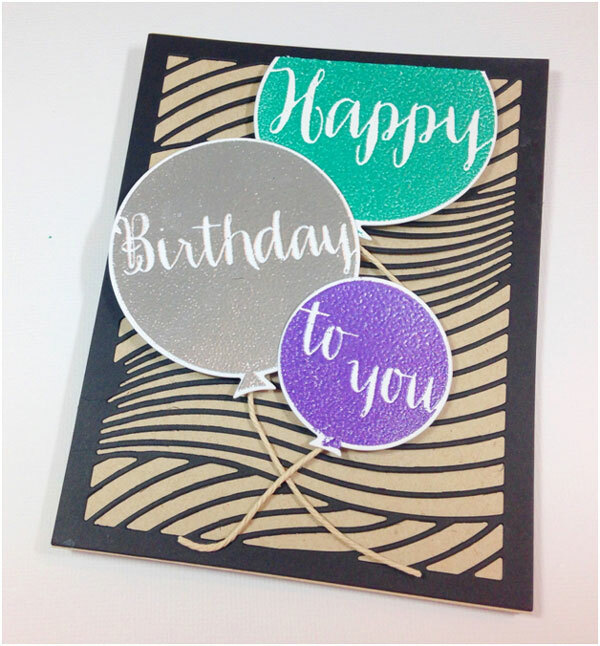 Balloons from Avery Elle’s Balloons stamp set are heat embossed with rich colors that complement the neutral background. This entry was posted in Birthdays, Cardmaking, Rubber Stamping and tagged Avery Elle, Birthday, Birthday Cards, Die Cutting, Masculine, Stamping on July 31, 2018 by Heidi. As summer draws closer, so does kids’ birthday party season. I have a great way to get yourself prepared with a ready made card and tag set using a simple 6 x 6 patterned paper pad and a fun interactive die. 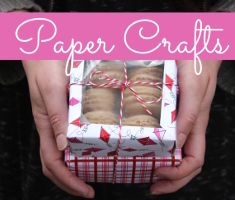 Patterned paper pads are great because you have everything you need to make quick DIY crafts with little effort. 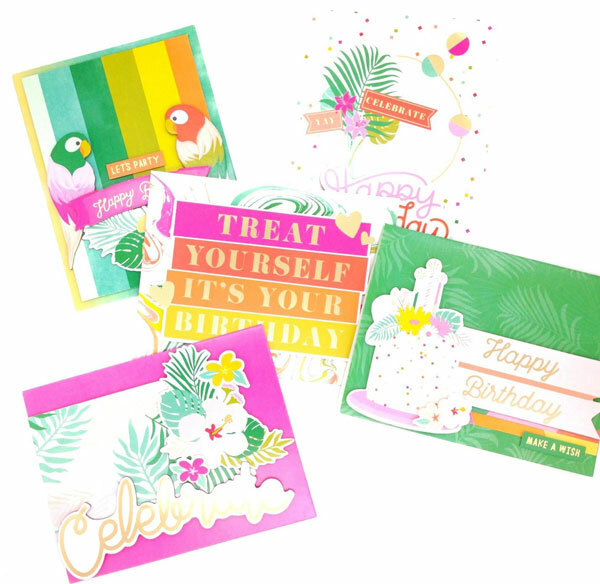 All the fun colors and even some sentiments are right there for you to cut and paste! For my projects today, I used the Sizzix Stephanie Barnard Framelits Card Drop In-Thank You die set along with the Pebbles Happy Hooray 6×6 paper pad. I also used some large and small pre-made white tags. This entry was posted in Birthdays, Cardmaking, Holidays & Seasons, Paper Crafts and tagged Birthday, Birthday Cards, Card Making, Die Cutting, Gift Tags, Pebbles Happy Hooray, Stephanie Barnard, Tag Making on May 16, 2018 by Heidi. What girl doesn’t love being a glamorous fashionista? 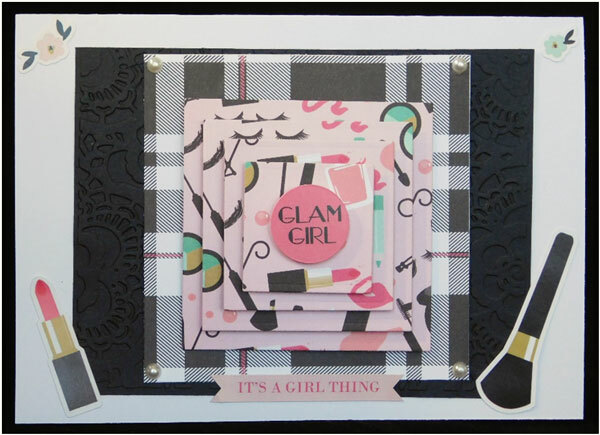 This card is perfect for a birthday or any day you want to share a fashion statement with your glam girl. The stacked layered design makes a statement in itself and it’s easy to do. This entry was posted in Cardmaking, Paper Crafts and tagged Birthday, Birthday Cards, Card Making, Die Cutting, Echo Park on March 15, 2018 by Peg. My daughter’s first birthday is quickly approaching, I can’t believe how quickly time flies. While Pinteresting one day for ideas for her party, I saw these crowns and just knew she HAD to have one, plus it gave me a chance to use those iron-on glitter sheets I have been eyeing for awhile. 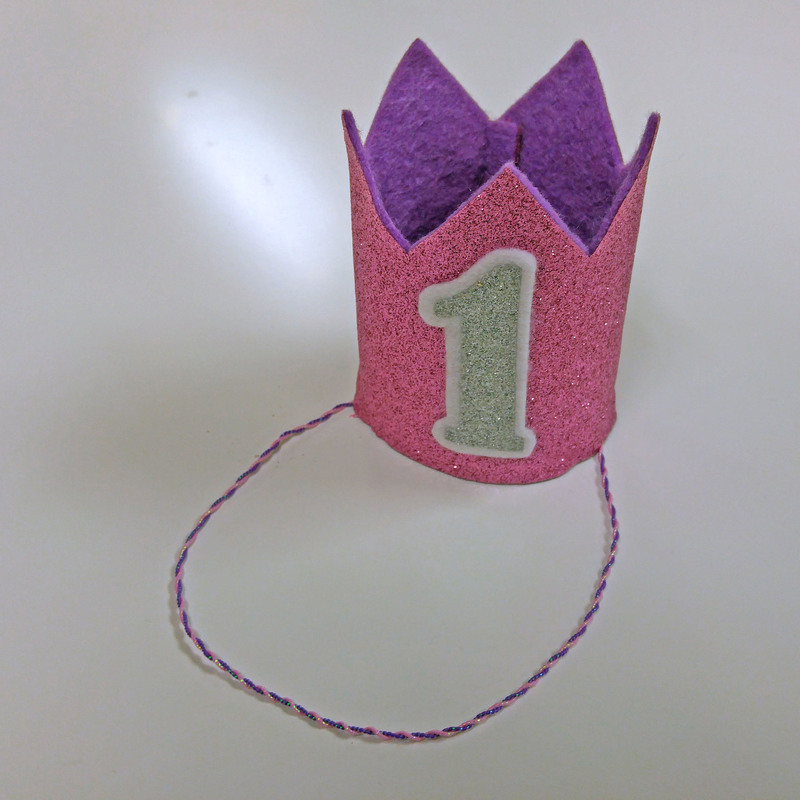 This entry was posted in Birthdays, Crafts, Parties and tagged Birthday, Crown, DIY party ideas, Glitter, Parties, Party Decor on June 30, 2016 by Kimberly.